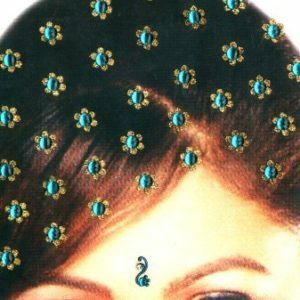 Hair Gems – Our fantastic set of hair gems is full of colorful and quality gems ready to be stuck on your hair.The hair bindis will accentuate all types of hairstyles – long or short, straight or wavy – just wear them and look ravishing! Trends move quickly in the festival hair world — braids! hair tapestries! hair tattoos! — and now hair gems are bubbling back up. This little hair sticker trend seems to come back and look ravishing when stuck on hair for parties, proms, music festivals and special occasions. All gems can be applied easily, just peel and stick so there’s no need for individual rhinestone application. Just apply like a sticker and can also be reused many times. Once the glue has dried out they can be reapplied with eyelash or body glue. We have stylish and reusable designs to choose from – Festival, Tribal and Rave Collections are all available. All designs are inspired by cultures and beauty around the world, perfect for the a free spirited boho girl. The stick on hair gems are high quality hair accessory at competitive price. You can place the gems all over your face and body; forehead, eyebrows, cheeks, around your eyes, stomach, chest, back, arms, hands and even your hair! Wear them like a bindi. 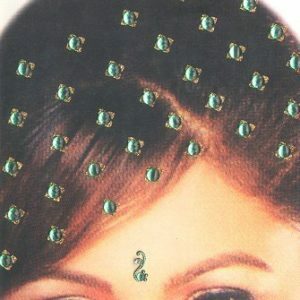 The hair gems are stick on, self adhesive hair jewels and rhinestone stickers are body gems made from acrylic and stones and crystals. Our collection is a jewelry inspired self-adhesive hair, body and face jewels. Fancybindi is manufacturer & exporter of Hair Gems Armband Tattoo, Temporary Glitter Tattoos, Glitter Temporary Tattoos, Shimmer Tattoos, Glitter Armband Tattoos, Glitter Lower Back Tattoos, Stick on Body Tattoos.